Ben Donenberg is the Founder and Executive Artistic Director of The Shakespeare Center of Los Angeles (SCLA). As a director of populist interpretations of Shakespeare, Ben has built a reputation of creating excellent, accessible productions that are underscored by the canons of modern songwriters and recording artists. His 2010 production of Much Ado About Nothing at Center Theatre Group starred Helen Hunt and Tom Irwin and featured Lyle Lovett in the role of the musician Balthasar. The production was supported by progressive bluegrass singers and songwriters Sean and Sara Watkins. The production received a special Ovation award for its musical accomplishment from the LA Stage Alliance. Other Shakespearian productions include two productions of A Midsummer Night’s Dream. One featured Natalie Cole and Obba Babatunde singing Nat King Cole jazz standards with text performed by Tom Hanks, William Shatner, Tracey Ullman, Geoffrey Rush, Christina Applegate, Rita Wilson, Zack Braff, and Kate Hudson (2006, SCLA). Ben directed the other for a Los Angeles Philharmonic’s 1999 Fall Gala at the Dorothy Chandler Pavilion. Conducted by Esa Peka Salonen, it featured Mendelssohn’s Incidental Music for A Midsummer Night’s Dream and was supported by voices from the Los Angeles Opera and Los Angeles Master Chorale with text performed by Alfre Woodard, David Ogden Stiers, and Peter MacNichols. Other actors and recording stars who have performed in Ben’s annual staging of Shakespeare include Sir Paul McCartney, Paul Simon, Sir Anthony Hopkins, Kenneth Branagh, Will Smith, Steve Martin, Cedric the Entertainer, Dule Hill, Billy Crystal, Robin Williams, Martin Short, Reba McEntire, Faith Hill, Tim McGraw, Ewan MacGregor, Jack Browne, Tracy Ullman, and Eric Idle. Ben’s production of The Merry Wives of Windsor at UCLA’s Royce Hall featured the songs of Hank Williams performed by Reba McEntire with text performed by Kenneth Branagh, Tom Hanks, Tracey Ullman, Rita Wilson, Martin Short, and William Shatner, who played Falstaff. His presentation of As You Like It also featured Lyle Lovett, this time singing the music of Pete Seeger with text performed by Sir Anthony Hopkins, Benjamin Bratt, and Carla Gugino. Ben’s Twelfth Night featured Peter Gallagher singing Gershwin and his The Two Gentlemen of Veronafeatured music by The Beatles. Ben has also directed more traditional outdoor and site-specific Shakespeare plays for SCLA that have toured to venues throughout Los Angeles County, including Union Station, Pershing Square, the Cathedral of Our Lady of the Angels, and the South Coast Botanic Garden. Ben has received local awards and national recognition from Actors’ Equity Association, NAACP, Los Angeles Drama Critics Circle, California Educational Theatre Association, and the Mayor of Los Angeles. His 2006 six-year Presidential appointment to the National Council on the Arts was unanimously approved by the United States Senate. In 2012, Ben was selected by the U.S. Secretary of Defense to participate in the U.S. Department of Defense Joint Civilian Orientation Conference. He has lectured on theatre aesthetics at University of Southern California, and at the Huntington Library and SCLA’s award-winning Will Power teacher training seminars. Ben received his Bachelor’s degree in Philosophy from University of Southern California and is a graduate of The Juilliard School’s Drama Division. Marina Oliva is a graphic designer, stage manager and producer. Ms. Oliva was introduced to the company in 1999 through the Will Power to Youth Program as a participant; she made her debut in the production of Hamlet. In 2001, Marina was asked to join the Shakespeare Center family as the Program Associate where she assisted the Youth & Education Department. 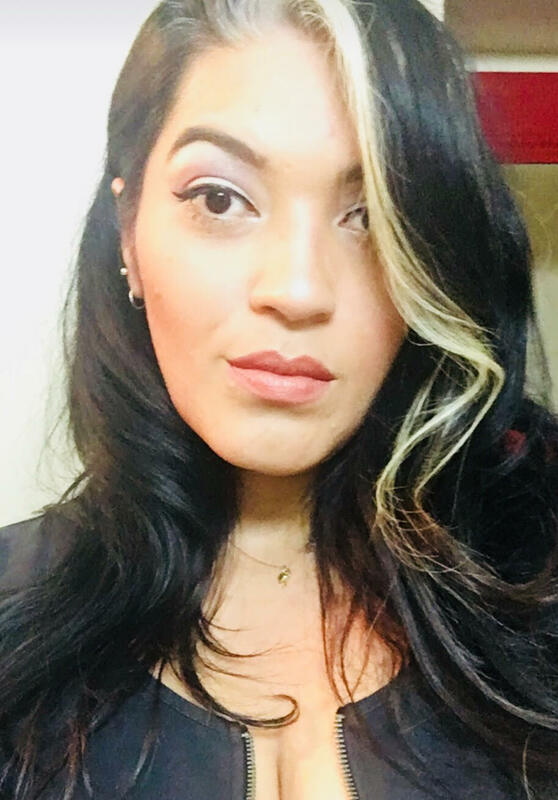 Now with 20 years experience in the non profit sector Ms. Oliva is the Director of Education and Operations for The Shakespeare Center of Los Angeles, she runs the Education Department which includes all programs for youth, teachers and military veterans. She also runs facility operations rentals and produces the fall Immersive Tragedy of Macbeth production along side the veteran leadership team. Ms. Anthony is a director, teacher, actor and administrator specializing in community-based art making. She has been with Will Power to Youth since 1995. Holding an MFA from CalArts, she has taught in venues ranging from Elementary Schools to Adult Correctional Facilities. Ms. Anthony began her career with the St. Louis Black Rep, and has worked with the award-winning Will Power to Youth program for twelve years. She has directed at theaters around the country including the St. Louis Black Rep, Cornerstone Theater, and Native Voices. Mr. Scharlin has broad experience in various organizational types, business stages, industry sectors and organizational positions. Consequently, Mr. Scharlin has often been engaged when an organizational situation requires the highest level of personal and professional integrity, business experience and judgment. His extensive resume includes serving as the Chief Operating Officer for Mission City Community Network, Inc., a federally qualified health center; Deputy Director of Redevelopment with the City of Stockton Redevelopment Agency in which he developed the downtown marina and promenade; Director of the Los Angeles Community Redevelopment Agency in which he was appointed by then Mayor to initially deal with a political and financial crisis, which was resolved through his efforts. Subsequently implemented extensive strategic planning and organizational improvement effort, using faculty members from UCLA school of management; President of Janss Corporation; and Vice President of The Palmieri Company for 13 years.